Note: Anise and Star Anise essential oils are frequently grouped together and are at times confused with each other as both possess a similar aroma and have similar, but not identical, properties. Scent: Distinctive scent of licorice. Rich and sweet. Action: Antibacterial, antifungal, sedative, carminative, antiseptic, anti-epileptic, antihysteric, antispasmodic, insect repellent, antirheumatic, aperient, cordial, decongestant, digestive, expectorant, stimulant, vermifuge. Benefits, Indications: Bronchitis, colds, coughs, flatulence, flu, muscle aches, rheumatism. Aniseed provides relief for arthritic pain, is used to clean wounds and help protect against infections. It is also used to help eliminate congestion in the respiratory tract and has phytoestrogenic properties to help increase milk production. It is both a narcotic and a sedative and is thus can help ease epileptic and hysteric episodes. Anise oil can be added to toothpaste, mouthwash and syrups to help maintain fresh breath and good oral health. Similar to coconut oil, aniseed oil is a safer alternative to chemical head lice treatments and since it is toxic to insects, is frequently used as an insecticide. Anise and anise oils are utilized in processed meats such as pepperoni, pizza topics, Italian sausage and other similar food products. It was used in ancient times to increase libido and as an aphrodisiac. 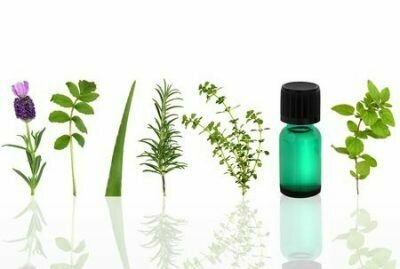 A large number of applications in the flavor and fragrance industry, can be used to mask the scent or flavor of other essential oils and useful in perfumery and relaxing massage. Precautions: A dermal irritant in high doses. Varied precautions abound for those with hypersensitive skin or with skin problems. A dermal maximum of 2.4% is recommended. Anise oil may inhibit blood clotting and is contraindicated in pregnancy/breastfeeding, endometriosis and estrogen-dependent cancers. Avoid use with children under five. Avoid use of the oil if it has oxidized. In heavy doses, it has narcotic effects and slows down respiration and circulation. It is poisonous to certain small animals and birds.